What Britain’s exit from the European Union (“Brexit”) means for food and agriculture is worth attention. It is no coincidence that food and drink is at the heart of so much of the debate about whether we are better off in or out of the EU. Worth £80bn a year and employing 400,000 people, it is our largest manufacturing sector and a big exporter and importer. Moreover, 38% of its workers are foreign-born, placing its demand for cheap labour at the centre of arguments about immigration. The common agriculture policy (CAP) swallows up nearly 40% of the total EU budget…Britain produces just more than half what it consumes and depends on Europe to provide more than a quarter of the rest, while the EU’s population of more than 500 million people provides the UK’s most significant export market for food. People will pay more for food. The British people have voted to raise the food prices…Where do they think their food comes from? Planet Zog? Bakery & Snacks is especially interested in the meaning of Brexit for the food and drink industries. It produced a Special Edition highlighting its articles on the topic. The UK’s decision to leave the European Union goes against the wishes of 71% of the UK food & drink industry, according to a poll by the Food and Drink Federation. William Reed Business Media publications assess the impact for individual sectors such as snacks, confectionery, dairy, bakery and feed as well as food ingredients suppliers. What will Brexit mean for the food, feed and drink industries? It’s obvious from reading all this that the effects of the Brexit decision are largely unknown. not easy to predict, but unlikely to be good. The follow-up will be interesting to watch. Fingers crossed that the fallout won’t be as bad as predicted. The World Resources Institute has a new paper out: Shifting Diets for a Sustainable Food Future. This is the most recent item in its series: World Resources Report: Creating a Sustainable Food Future. The paper is about how food choices affect land, water and climate change. It provides further evidence that eating less meat and dairy would be more sustainable. Shift Wheel explaining how to influence food companies and consumer choices. A couple of years ago, I wrote a long post attempting to explain the Transatlantic Trade and Investment Partnership (TTIP), a trade agreement under negotiation since then with the European Union. Like all trade agreements, this one is done secretly, making it difficult for interested parties to weigh in. But Greenpeace Netherlands has now leaked what it says are the texts of 13 chapters of the TTIP. These include 248 pages of internal documents dating from TTIP talks at some uncertain date. 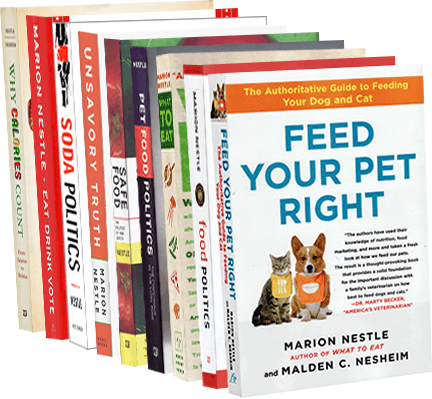 These include chapters about food and agriculture, as well as many other issues. The documents include a 25-page “Tactical State of Play” on the negotiations similar to a 20-page public EU report, but with more detail on points of disagreement and consensus. Greenpeace claims that the documents demonstrate major risks for the climate, environment and consumer safety. The Office of the U.S. Trade Representative strongly disagrees, and European Trade Commissioner Cecilia Malström says the leaked documents only reflect negotiating positions. [On public health and safety] The Parties recognize that their respective societal choices may differ with respect to public policy decisions affecting agriculture. In this regard, nothing in this Agreement will restrain the Parties from taking measures necessary to achieve legitimate policy objectives such as the protection of public health, safety, environment or public morals, social or consumer protection, or the promotion and protection of cultural diversity that each side deems appropriate. [On sustainability] The Parties recall the prominent role of sustainability in its economic, social and environmental dimensions in agriculture and aim at developing a fruitful cooperation and dialogue on agricultural sustainability issues. To this end, the Parties shall work together to…exchange ideas and share experience in developing sustainable farming practices, particularly with regards to organic farming, and environmentally friendly rural development programs. [On geographical indicators] The Parties shall cooperate in matters related to geographical indications…The Parties reaffirm the importance of origin-linked products and geographical indications for sustainable agriculture and rural development, and in particular for small and medium-sized enterprises. The Parties shall work to promote international agricultural development and enhanced global food security by: (a) promoting robust global markets for food products and agricultural inputs; (b) seeking to avoid unwarranted trade measures that increase global food prices or exacerbate price volatility, in particular through avoiding the use of export taxes, export prohibitions or export restrictions on agricultural goods; and (c) encouraging and supporting research and education to develop innovative new agricultural products and strategies that address global challenges related to the production of abundant, safe and affordable food, feed, fiber, and energy. You have to read between the lines to figure out what they are really talking about (GMOs in the case of this last one). The link between agriculture and car parts: we take European car parts and they take our agricultural exports. Protection of wine names. The EU does not want us to use European names for our wines; Washington does. The EU’s October proposal to cut back on antibiotic use in livestock is not in these documents. The sanitary and phytosanitary chapter (the one that deals with food safety) finds little agreement on use of animal growth hormones or GMOs. Perhaps in response, the EU has now released its own version of the agriculture chapter, and the European Commission has released all of its working documents related to the TTIP, including draft proposals on agriculture and other matters. Indicated it does not support a US proposal on modern agricultural technologies. Insisted on the importance of animal welfare provisions in trade agreements and the relevance of the matter for SPS [Sanitary and Phytosanitary issues, such as food safety]. Stressed the importance of joint efforts to fight AMR [antimicrobial resistance] at all levels in all fora and argued for the inclusion of AMR in the SPS Chapter. Address SPS measures and technical barriers to trade (TBT). More than two dozen Senators urged U.S. Trade Representative Michael Froman to ensure there is “a strong framework” for agriculture in the TTIP, warning that its absence could have a negative impact on Congressional support for any deal. As long as the negotiations continue in secret, all of this will remain mysterious and out of the reach of the public. This makes trade negotiations inherently undemocratic, something Greenpeace attempted to reverse in releasing the leaked documents. Perrine and Charles Hervé-Gruyer. 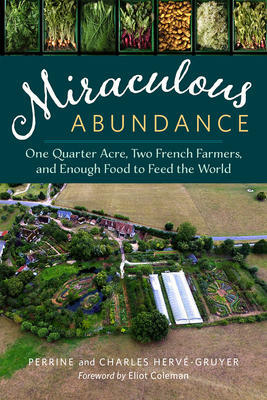 Miraculous Abundance: One quarter acre, two French farmers, and enough food to feed the world. Foreword by Eliot Coleman. Chelsea Green, 2016. This book, more about philosophy than a how-to, describes how two inexperienced beginners succeeded in creating a gorgeous, productive, self-sustaining farm on 1000 square meters of land in Normandy—La Ferme du Bec Hellouin. They did this by using the techniques of permaculture. This they define as “a box of smart tools that allows the creation of a lifestyle that respects the earth and its inhabitants—a practical method inspired by nature.” Later, they explain that it is based on an ethic: “Take care of the earth. Take care of the people. Equitably share resources.” As I said, philosophy, not how-to. You have to read the book to figure out what all this means in practice. It seems to come down to what I thought of as French Intensive methods. These use raised beds, rich soil, composting, and thoughtful planting of coordinated crops that support each other’s growth and nutritional needs. Vandana Shiva’s Navdanya—nine seeds—approach works the same way. The authors drew on the work of John Jeavons, Eliot Coleman, and many other small-scale sustainable farmers from all over the world to develop their version of these methods. If the color photographs are any indication, the results are magnificent. The place is so highly productive that it easily supports the two of them. The mandala garden alone made we want to get on the next plane just to see how it works in controlling weeds. The moral: you could do this at home. I am no longer the Editorial Cartoonist for Farm News due to the attached cartoon which was published yesterday. Apparently a large company affiliated with one of the corporations mentioned in the cartoon was insulted and cancelled their advertisement with the paper, thus, resulting in the reprimand of my editor and cancellation of It’s Friday cartoons after 21 years of service and over 1090 published cartoons to over 24,000 households per week in 33 counties of Iowa. I did my research and only submitted the facts in my cartoon. That’s okay, hopefully my children and my grandchildren will see that this last cartoon published by Farm News out of Fort Dodge, Iowa, will shine light on how fragile our rights to free speech and free press really are in the country. The CEOs at the ag giants earned about $52.9 million last year, based on Morningstar data. Monsanto and DuPont, the parent of Johnston-based Pioneer, are large seed and chemical companies, and Deere is a large farm equipment manufacturer. Friday has done other cartoons like this. It’s not surprising that he has corporate advertisers upset. How to help? Consider a quick note to Farm News about how badly Americans need a free, independent press to discuss farm issues. Addition, May 5: Friday’s view of all this. Dale Finley Slongwhite. 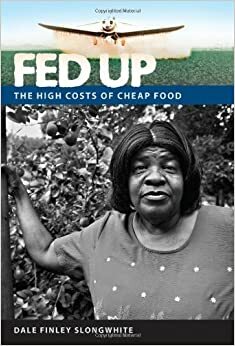 Fed Up: The High Costs of Cheap Food. University Press of Florida, 2014. Yes, there’s a movie called Fed Up (in which I make a very brief appearance) but this book covers a quite different topic. It takes a tough look at the impact of widespread pesticide use on farmworkers in the area around Lake Apopka in Central Florida. Slongwhite tells the individual stories of these workers through oral histories, thereby putting a human face on callous disregard for people and the environment. Thanks to Helena Bottemiller Evich of Politico Pro for doing the homework on food issues covered by the omnibus spending deal just agreed to by the House. Here’s my quick summary of her summary. GMO labels: the effort to preempt local and state GMO labeling initiatives failed as a result of the efforts of 30 representatives who opposed the measure. Country of origin labels repealed: the meat industry scores a win in the House vote to repeal the measure. Dietary guidelines: I discussed this one in yesterday’s post. The House wants to block their release on the grounds that they are not sufficiently scientific (translation: the meat industry doesn’t like advice to eat less meat). The Clean Water Act: it survives. GMO salmon: it will have to be labeled. Food safety funding: up more than $132 million to $2.72 billion in discretionary funding. This is a big win for the FDA. It also proposes $1 billion for the USDA’s Food Safety and Inspection Service, also above the president’s request. Trans fat ban”: delayed until FDA’s formal rules go into effect in June 2018. School lunch flexibility: Riders allow schools to ignore whole grain requirements and block sodium restrictions pending further research. Chinese chicken out of schools: Prohibits purchasing chicken that was processed in China for school meals or other federal nutrition programs. More kitchen equipment: Schools get another $30 million for school equipment grants. Caveat: this is the House deal only. The House has to vote on the actual bill, then the Senate. Then the two bills need to be reconciled and the President needs to sign. Until then, everything is up for grabs. Lisa Chase and Vern Grubinger. Food, Farms, and Community: Exploring Food Systems. University of New Hampshire Press, 2014. If you haven’t a clue as to what’s meant by food systems, read Food, Farms, and Community right now. The book covers the territory from farm to fork, clarifying the complexities and focusing on what’s really important: what to do to create food and farming systems that promote the health of people and the planet.